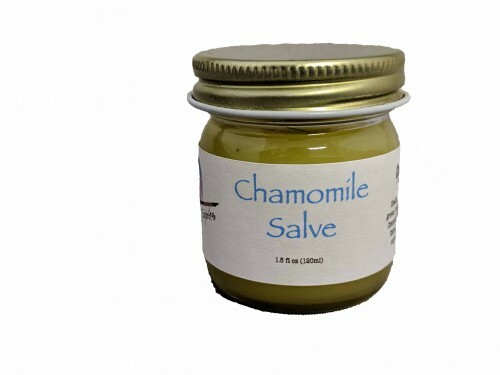 A nice salve to help you relax after a long day. I like to rub this on my wrists, and temples. Contains: Healing Spirits Organically Grown, Hand Picked, Solar Dried/Fresh: Chamomile infused in Organic Extra Virgin Olive Oil and unprocessed beeswax.